Serving the foundry industry as well as other industries, DAI precision preformed ceramic cores are available in simple commercial shapes, complex airfoils and configurations for larger IGT castings. In an effort to streamline the casting process, DAI offers wax prep of cores prior to shipment. Once received at the foundry, wax prep cores can go directly to wax injection saving valuable time and money. We work to supplied specifications during this process to assure strict conformance to customer requirements. 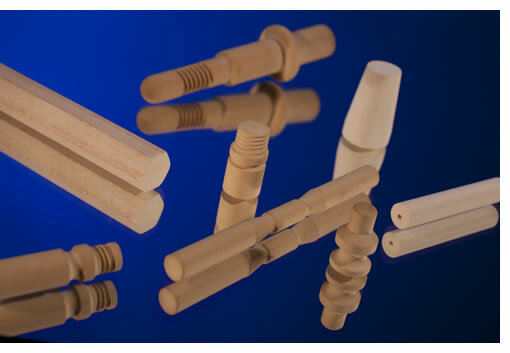 DAI offers a wide range of extruded ceramic solutions. Cross sections such as squares, rectangles, ovals, etc. +/- 0.001" is typically held on diameters up to a half inch and +/- 0.002" can be held on anything larger. Extrusions can be threaded to decrease machining operations after casting. The threading services available at DAI Ceramics insure that all threaded cores meet our customer’s special requirements. As a leader in customer service, DAI provides its customers as well as third parties access to its state of the art materials testing lab. Our lab specializes in measuring the behavior and properties of ceramic materials. Physical, thermal, and mechanical property measurements are available to help assist with product development, quality control and failure analysis. Our lab is staffed with experienced engineers and technicians who understand and are responsive to the needs of its customers. Standardized procedures are employed on calibrated equipment. Our test procedures conform to industry standards. 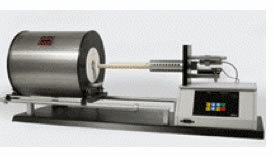 Often called "dilatometry", a dilatometer measures the dimensional change of a material as a function of temperature. This test determines both reversible and irreversible changes in length (expansion and shrinkage) during heating and cooling, and pinpoints where reactions occur that cause expansion or contraction. The dilatometer is used to determine Coefficient of Thermal Expansion (CTE), softening point, glass transition temperature, crystalline transformation, phase transition, shrinkage, sintering rate, and isothermal creep. 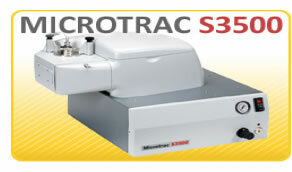 Our instrument can measure dimensional changes between room temperature and 1600°C (2912°F). Particle size has a major effect on both physical and mechanical properties of materials. It can also have a significant impact on slurry behavior when blended into aqueous and non-aqueous systems. Analyzing powders provides a means of measuring the distribution for the purpose of quality control and comparison to a desired distribution. DAI's three laboratory furnaces provide tremendous flexibility for firing/sintering oxide based ceramics in air atmosphere. State of the art controls assure extremely uniform temperature throughout the firing load. 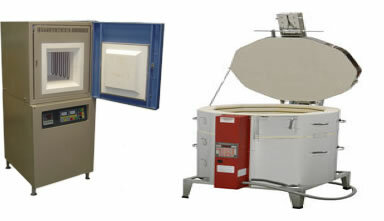 Whether you want to test fire a small quantity of sample pieces on a custom thermal schedule or perform standard refractoriness (slump) testing DAI can help with all your firing needs. Runs can be made to 1700°C (3092°F) using ramp rates as high as 300°C per hour. Call to inquire about sample size limitations. Our technicians use the Archimedes method to determine apparent density, bulk density and apparent porosity on both regular and irregular shaped ceramics. This test is useful for characterizing unknown or test specimens or for standard quality control of known production samples. 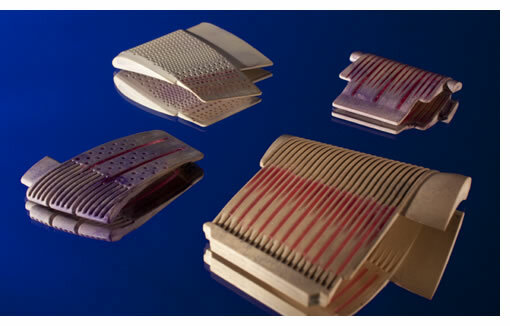 Test results provide useful information on the consistency of batch to batch sintering and microstructure.